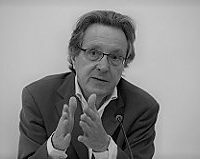 Jean-François Bayart is Senior Research Fellow at the Sciences-Po Centre de Recherches Internationales in France. He is the co-founder and former editor-in-chief (1980-1982) of Politique Africaine and founder and former editor (1998-2003) of Critique Internationale. He is an expert in comparative politics and works on the historical sociology of the State, with a focus on sub-Saharan Africa, Turkey, and Iran, and has published numerous works in these areas. Les origines de ce 13 novembre sont aussi à chercher du côté de la politique étrangère de l’Europe et de la France ces quarante dernières années. The roots of the 13th of November are also to be sought from the foreign policy of both Europe and France over the past forty years. Europe’s withdrawal from the Palestinian question, the missed opportunity with Turkey which could have so easily been brought into the fold of the EU, France’s alliance with the ‘petro-monarchies’… are all mistakes which have only served to aggravate the calamity and feed rancour and radicalisation in the Middle-East.